You know what they say about March. Well, the lion ate the lamb early and hung around most of the month, with windy conditions….but it made almost no difference as we had one of the finest months of fishing in some time. This has been the best sheepshead season I’ve seen in my 15 years of hanging around Steinhatchee, with literally thousands of excellent fish coming to the cleaning tables, and as late as the last weekend, there were mass quantities still coming in and Shain’s electric knife was overheating. 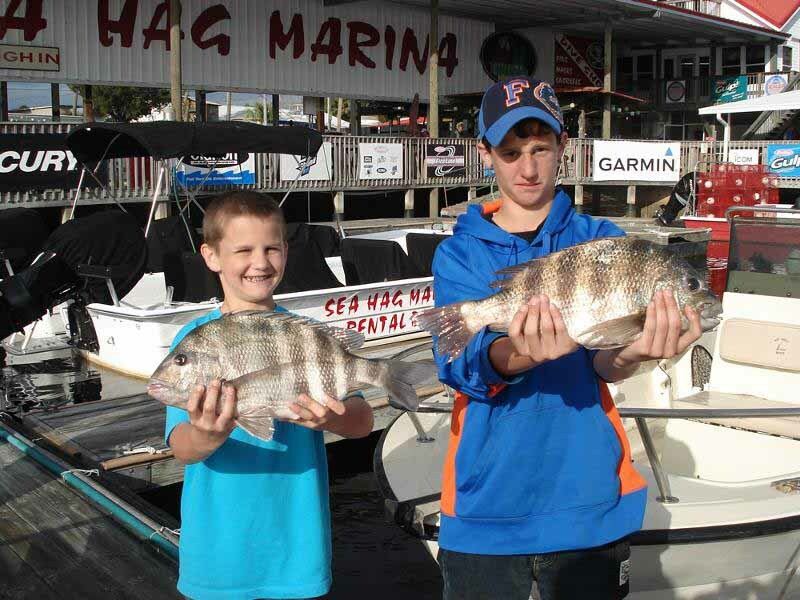 Ethan and Dalton Wells from St. Augustine found the sheepshead bite to their liking. 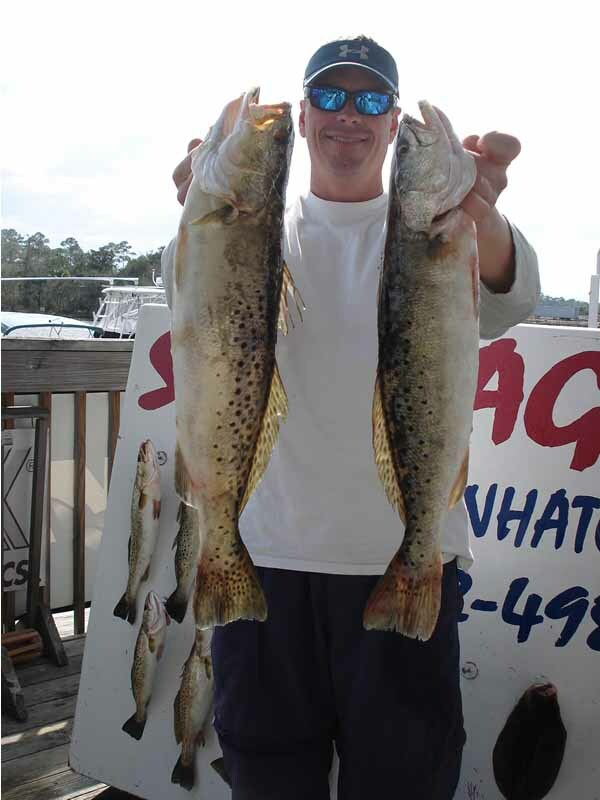 The trout fishery exploded as well. Earlier in the month the fish were found in deep holes in the flats and in creeks. 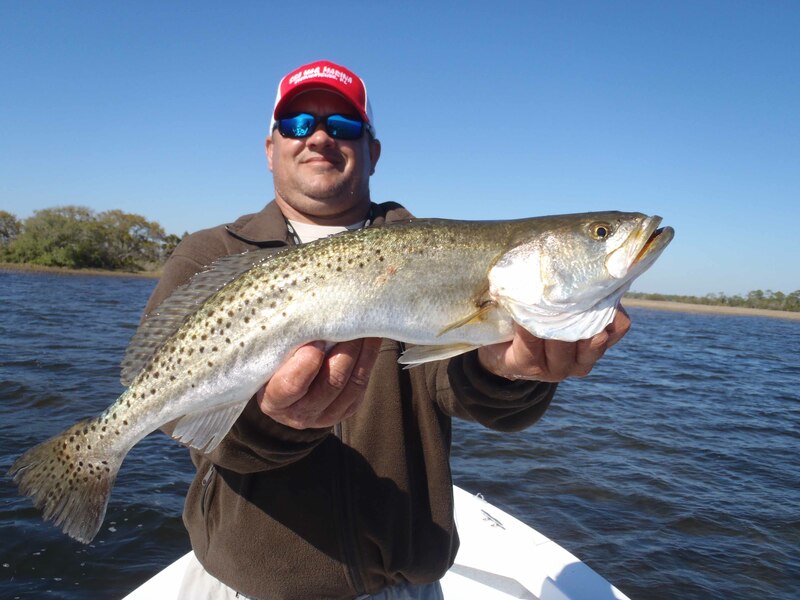 Dallus Creek became a popular and occasionally crowded location to find quick limits of keeper fish, but warming temperatures moved them out onto the flats near the end of the month. The redfish bite improved throughout the month and by the end of the month there were some spectacular redfish catches as the fish began to school. 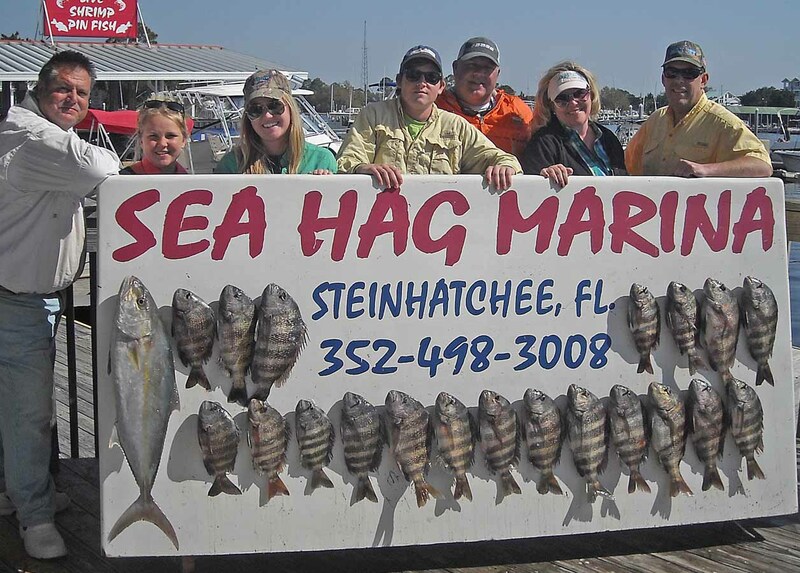 Offshore fishing was a challenge with grouper closures, but the sheepshead and amberjack fishing was way above average for this time of year. We saw some great amberjack catches; one captain caught and released over 30, giving his guests all they wanted in terms of a tussle. 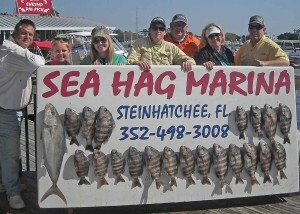 As always this time of year, the bottom fishing for Florida snapper and black sea bass was excellent around structure. And late in the month we started to see the occasional Spanish mackerel at the cleaning table, which means even better things are just around the corner. April should be a great month. 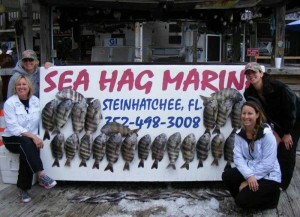 For recreational offshore anglers, both red and gag grouper are open. 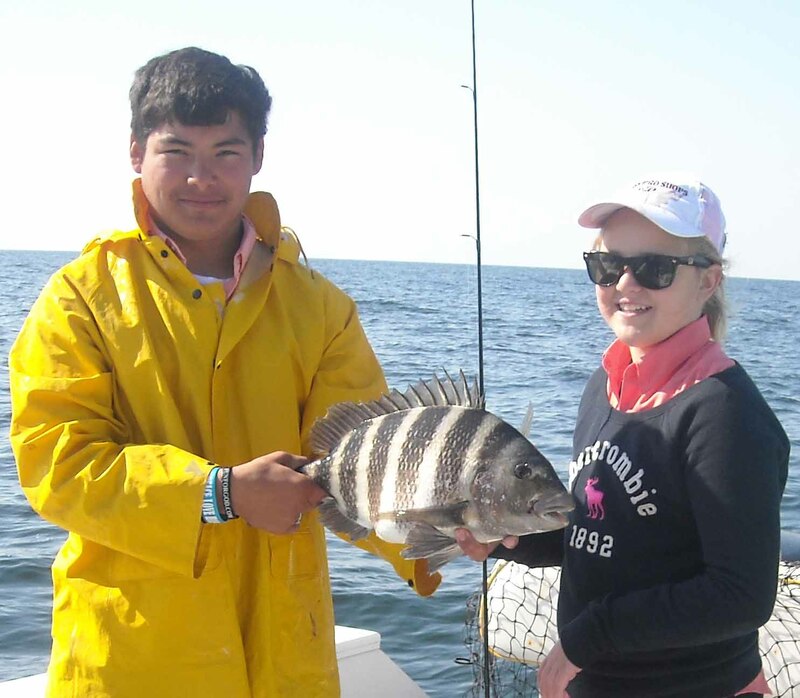 Amberjack will be available and hungry, and kingfish and Spanish mackerel are just starting to show up now. 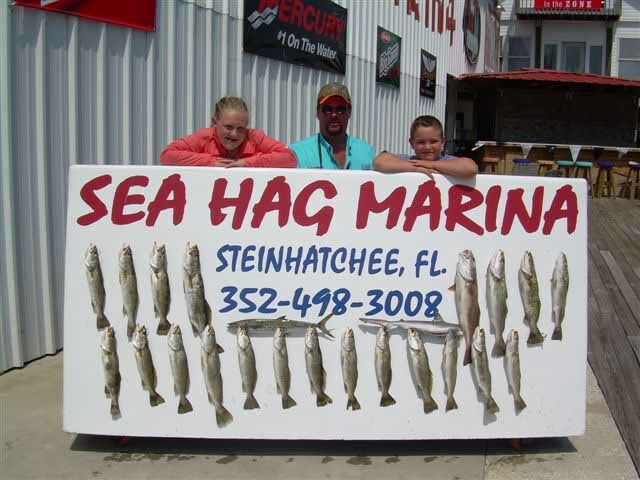 Look for bait pods around offshore structure, and while bottom fishing for grouper with live or frozen bait, always put out a freelined live bait for either a king or cobia. For prospecting, in live bottom areas the waters will be warming and fish will begin to chase down trolled lipped diving plugs. 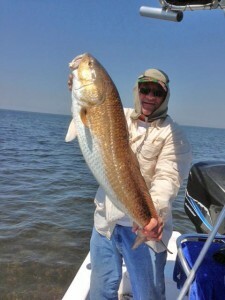 Inshore fishing will be excellent. 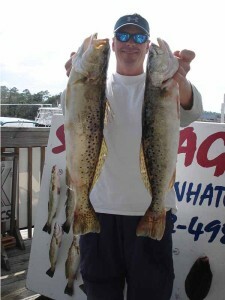 Spanish mackerel will be available nearshore and smaller cobia will be found on inshore structure and cruising the flats. 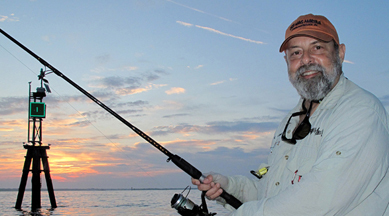 Be alert and keep a cobia rod rigged with a plastic-tipped jig. 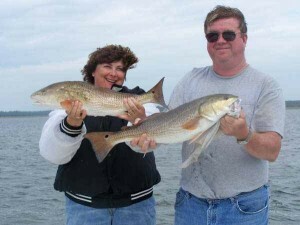 When working you way into the rocky shoreline, keep an eye out for two things: schools of mullet and schools of redfish. They are likely to be in the same area, and actually at times can hard to tell apart, but fish hard in those areas. 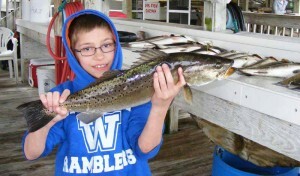 If you approach schools very quietly and make long casts you may come away with a number of fish. 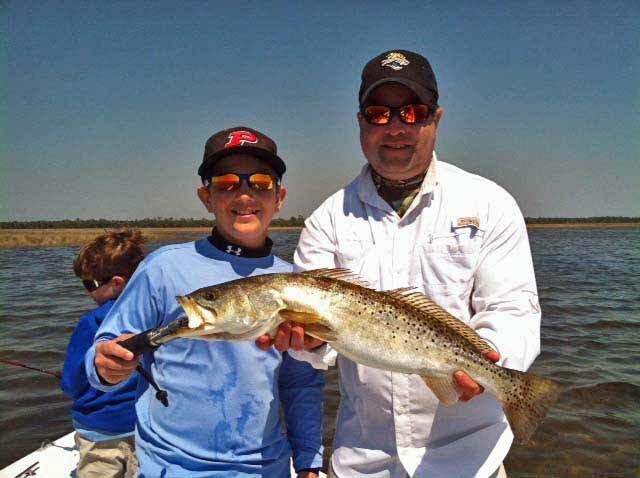 Remember the limits: anglers may now keep two redfish in the slot between 18 and 27 inches, and five trout over 15 inches, with only one greater than 20 inches. 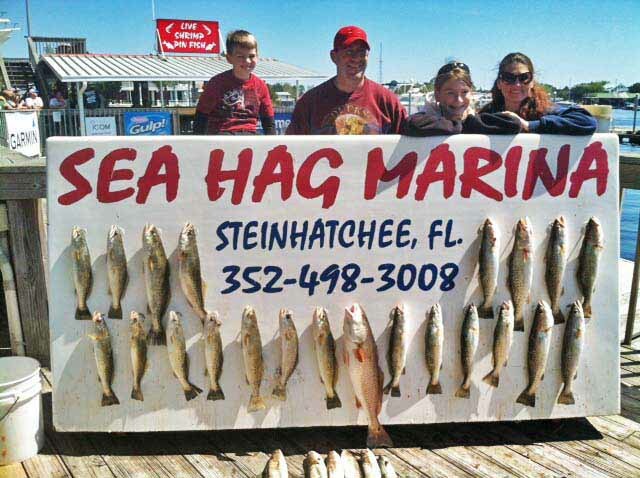 If you’re up for some competition, the Elite Redfish Challenge will held at the marina on April 6, the Steinhatchee Community Tournament April 19 and 20, and the Shands Fishing for Kids tournament on April 27. 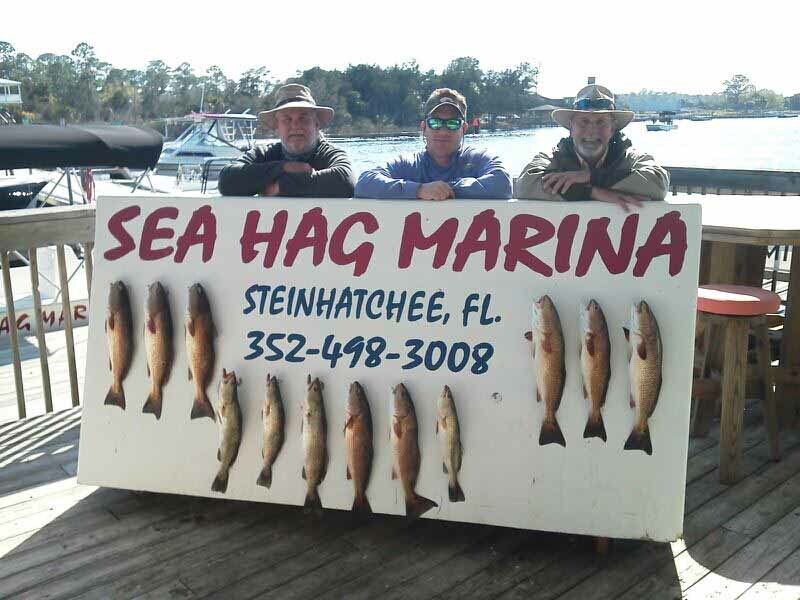 Remember you can rent a fully equipped boat from the Sea Hag for a full or half day, or if you are new to the area, considering hiring one of our guides to get a handle on the area before renting. The Ship’s Store will help you find the recent hot spots. Most of all, just get out there. This will be an exciting month. March fishing was very good when the wind would let you out of the river. There are plenty of sheepshead out on the rocks in deeper water, and this year it is any rocks. I have never seen so many excellent catches of fish. 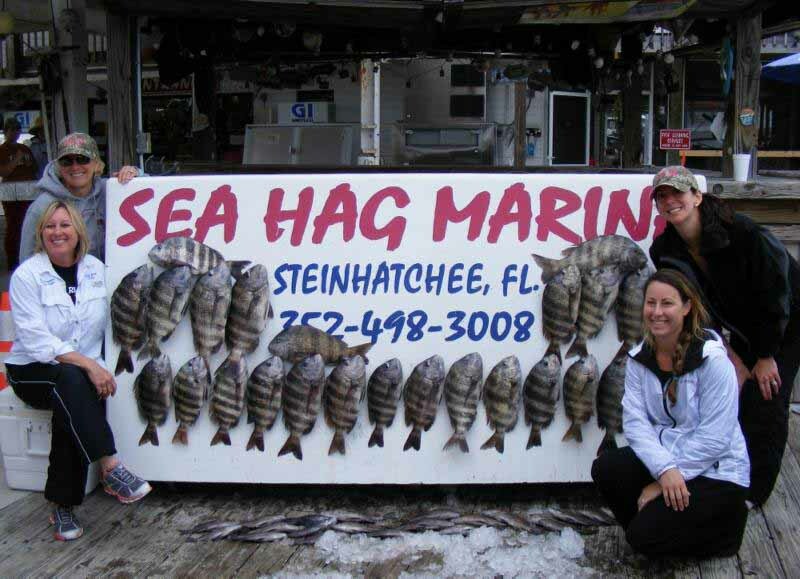 I do not do sheepshead trips but there are plenty of guides at the marina that do. You can also rent a boat if you are so inclined. 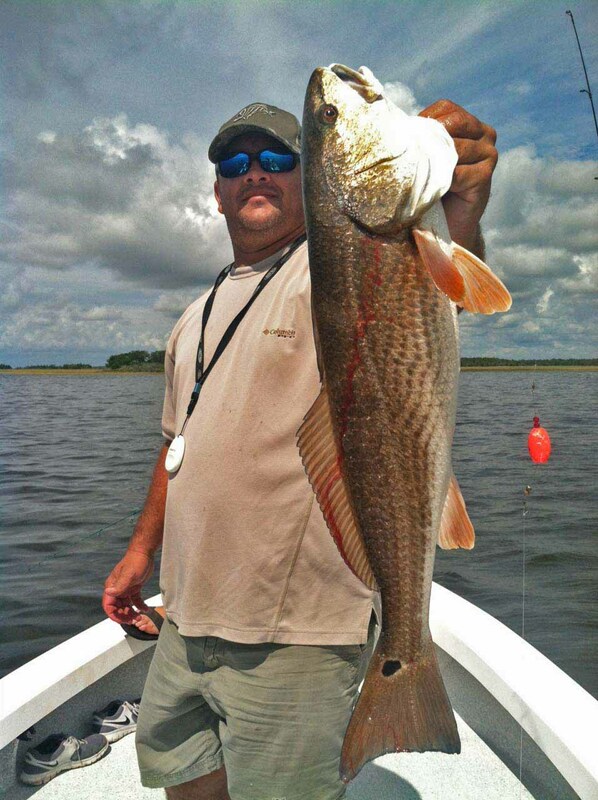 Redfish are scattered around on the flats in shallow water. Trout fishing is hot. They are starting to move from the holes to the flats in large numbers both north and south of the river. Sorry I don’t have any days left open for April except for the 18th. Still a couple of days left for May and June. Also will be doing scallop trips again starting in July. We expect a banner year this season. Tight lines and good fishing. Let’s just say I am glad February is over. 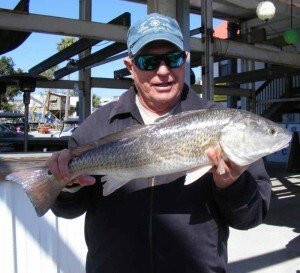 And let’s agree that March is one of those unpredictable fishing months too that leaves us asking the question “should I stay or should I go? ” more often than not. 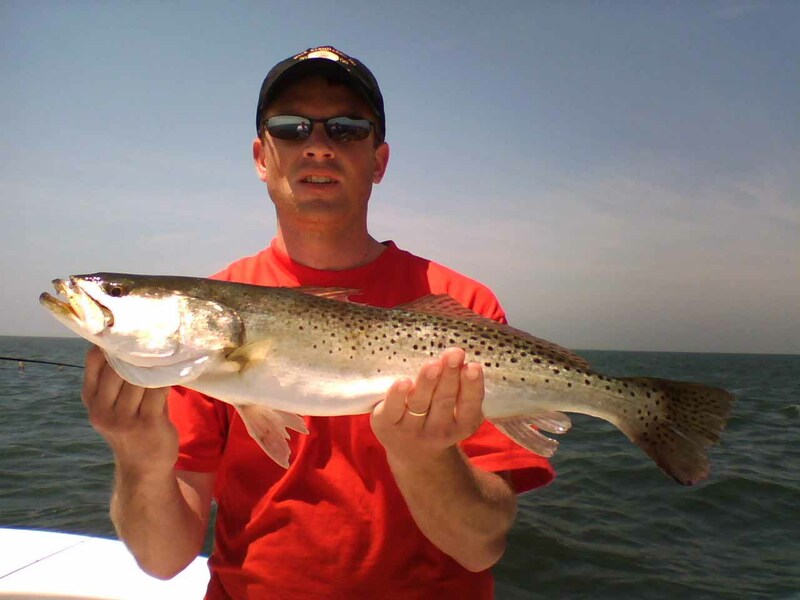 Fast changing weather patterns and fronts that move through the area this time of year make it tough to set and execute our fishing plans with certainty. The problem is that they are out there !!! 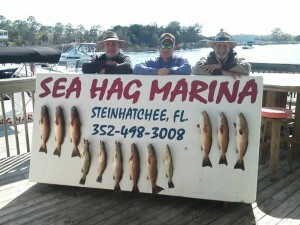 On a questionable day early this month we hung a limit of trout with some 20 + inchers and hooked six nice redfish. Despite the cold evening temps that continue the fish are becoming active and feeding once the water warms in the afternoon. 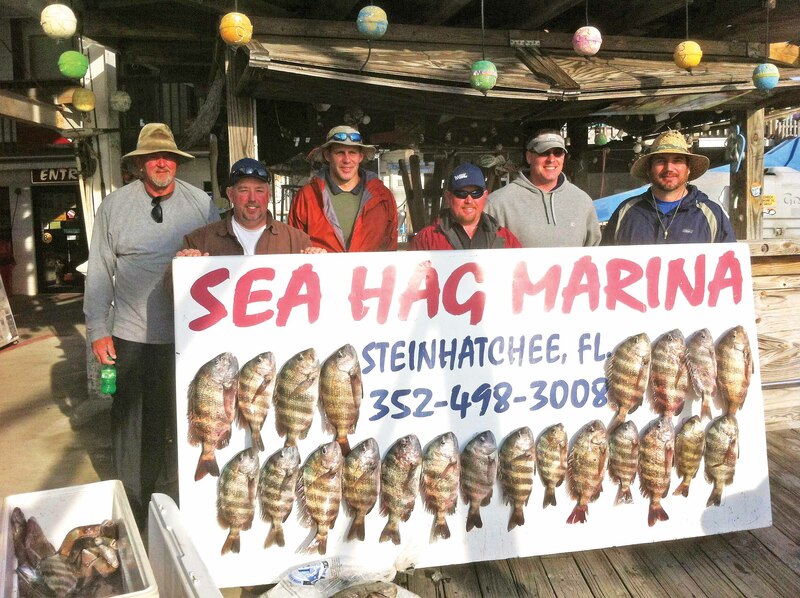 The neat thing about this time of year is that the sheepshead, amberjack, Florida snapper and black bass fishing is on fire as well. They make for a great family bottom fishing outings on those bluebird days. 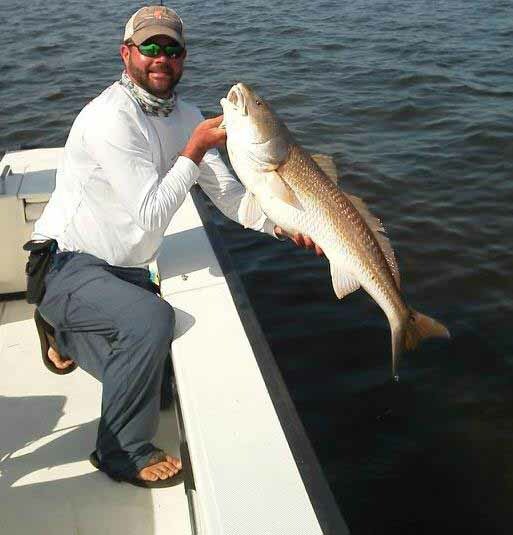 So when you wake up and there is a nice day in store, grab your rod and reel and head to the Nature Coast. 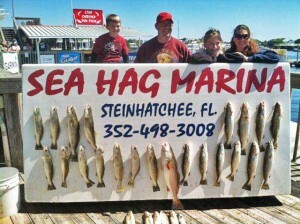 Or better yet give us a call and see if we have an open date at Hooked on Reds Charters. 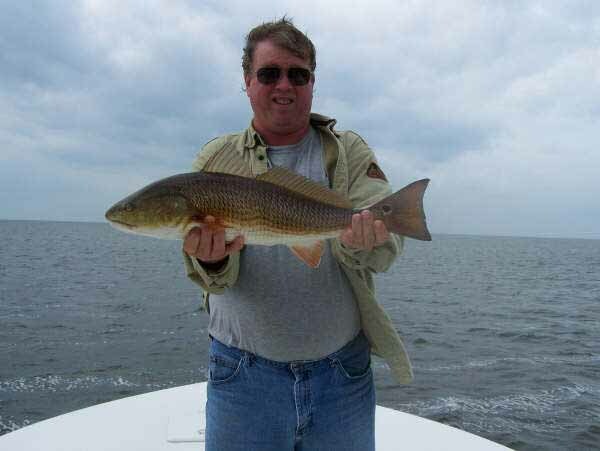 And to get you fired up, in late March with temps like those we have been having , a fishing buddy and I hooked 27 redfish one afternoon about three years ago. As I said … if Mother Nature cooperates this could be one of the best times to be on the water. Above all else make your safety and the safety of your crew the deciding factor when you’re deciding to stay or go, because let’s face it, despite the “fishing fever”, the nice weather is around the corner as is some of the best fishing. No need to unnecessarily take chances. We expect things to get better as milder evening temperatures help the water warm towards the end of the month and they did. Many of the photos are from Easter weekend. Our inshore waters are generally around 60 degrees … when the water temp nears 72 things will be in high gear. 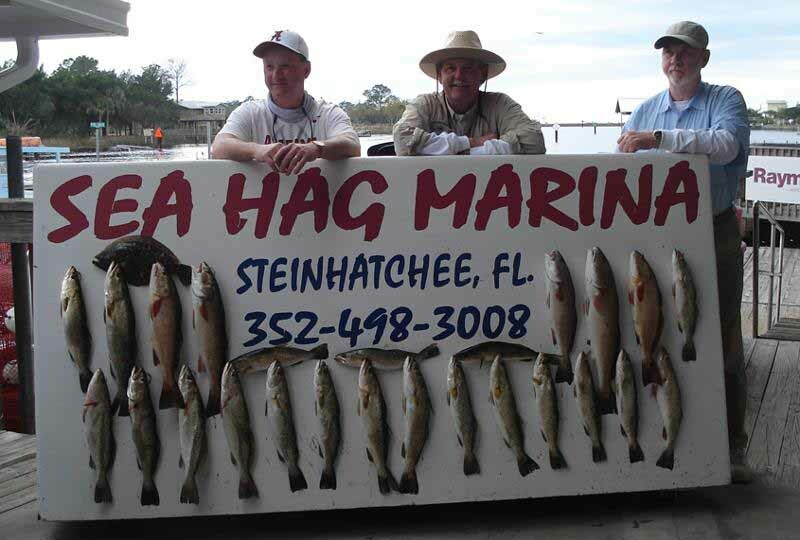 It is time to get the gear ready and sharpen your hooks. The leading edge is always the bait. The bait is the flour of the ‘gran-biscuit’ to the spring buffet. The swimming biscuits lead the Spaniards (mackerel) north. They are closely followed by their larger cousins, king mackerel, which eat any and all before them. More pelagic fish follow behind this first event, namely, cobia. 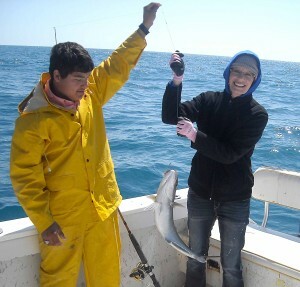 Cobia is the fish I like the most. Cobia are much like women; you have to win them. After twenty-some years of watching cobia, I have learned that they are finicky, snobbish, flashy, desirable, unpredictable, bullish, and can be silly easy. They turn me on more than I care to discuss. I look forward to their arrival. Before the cobia show, rig up flashy plugs, spoons, jigs or any other tricks with a short trace of #1-3 mono-strand wire. The instructions are diagramed and written on the back of the package of wire. It is not difficult to twist your own wire leader. 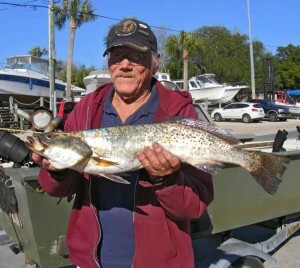 All fishermen should have the know-how to twist, but a small pair of vise-grips is most helpful. A morning groove-swerve of tackling speed demon Spanish is a great way to start the day. 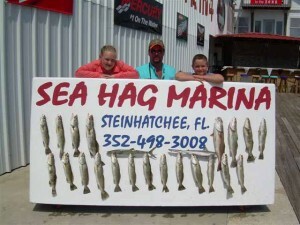 Keeping near-shore, find some hard lime rock bottom and stack some fine hump-head sea-bass and Florida snapper. Grouper regulations are a challenge. I’m trying my best, without sounding too angry. Federal regulations have soiled the biological harmony of fishing here in the Big Bend. I’m just telling you the best opportunity to put fish in your freezer. 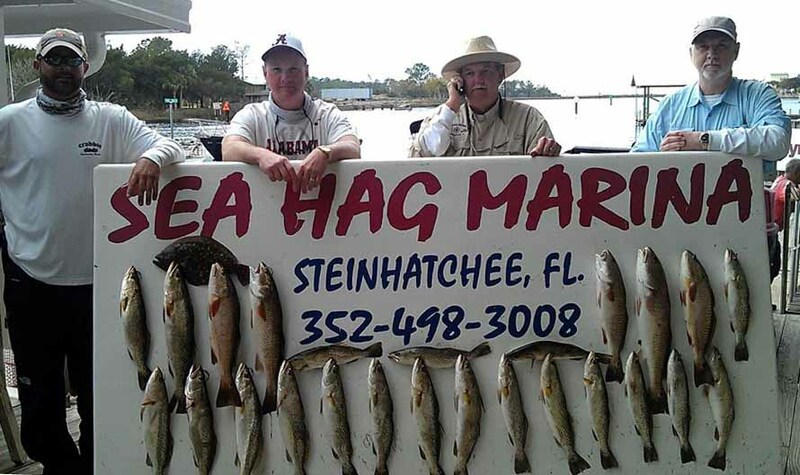 Those of us with federal permits are restricted to federal laws, so while recreational anglers can take gag grouper this month, offshore captains are restricted. 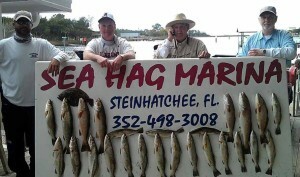 But red grouper, kingfish, cobia and everything else will provide great fun and filets on a Big Bend Charter.